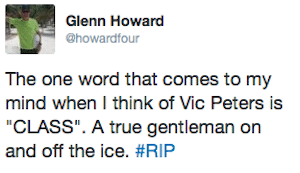 A long battle with cancer came to an end Sunday evening as 1992 Brier champ Vic Peters of Winnipeg passed away at the age of 61. Chelsea Carey’s Canadian team at the Ford World Women’s Curling Championship wore black armbands to show their support for Peters. 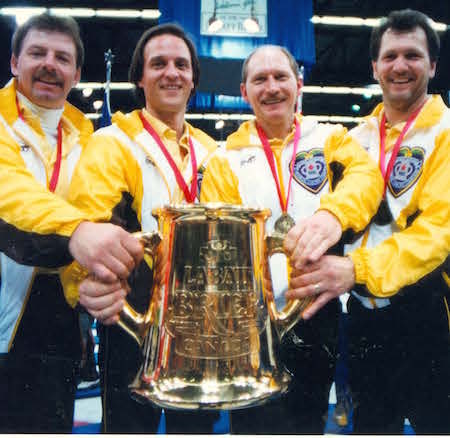 Carey’s dad, Dan was Peters’ vice-skip in 1992 when their Manitoba team captured the Brier title in Regina. 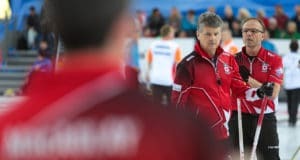 Along with Carey, second Chris Neufeld and lead Don Rudd, Peters went 9-2 in round-robin play to earn a bye to the final, where he needed an extra end to beat Ontario’s Russ Howard 4-3. He would go on to win a bronze medal at the 1992 world championship in Garmisch-Partenkirchen, Germany. 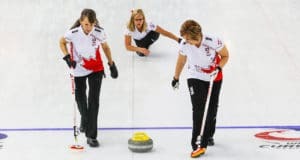 Peters’ final public appearance at a curling event took place in late February at the Scotties Tournament of Hearts in Grande Prairie, Alta., where his daughter, Liz Fyfe, was playing second for Team Manitoba. 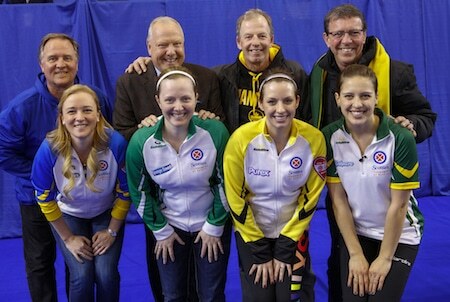 He was part of a memorable picture that featured the Scotties second all-star team — all daughters of past Brier champs (Chelsea and Dan Carey, Russ and Ashley Howard, and Rick Lang and Sarah Potts were the others). 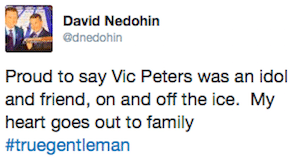 Peters also played in the 1993 and 1997 Briers — winning silver in 1997 to go along with the Ross Harstone Trophy as the player voted by his peers who best represents sportsmanship, observance of the rules, exemplary conduct and curling ability. Peters also captured the 2008 Manitoba senior men’s championship. 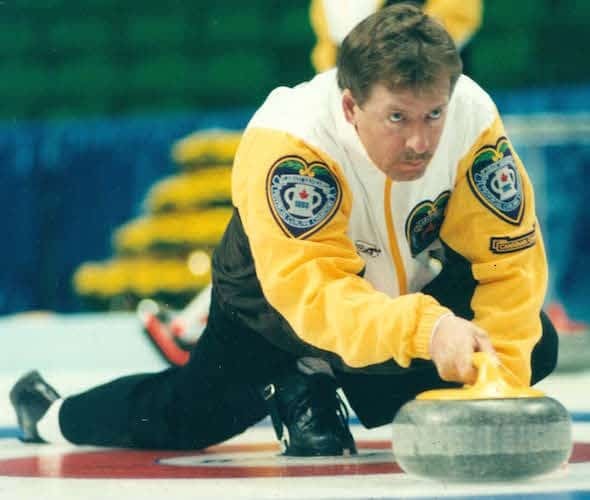 His family has no shortage of curling talent. 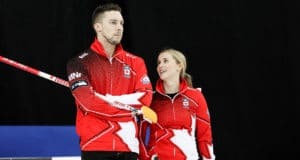 In addition to his daughter, Peters’ son Daley, a two-time Manitoba junior champ, is active on the World Curling Tour. He also is survived by his wife Deb and daughter Kasandra. Next: Senior men’s and women’s championship underway in Digby, N.S.